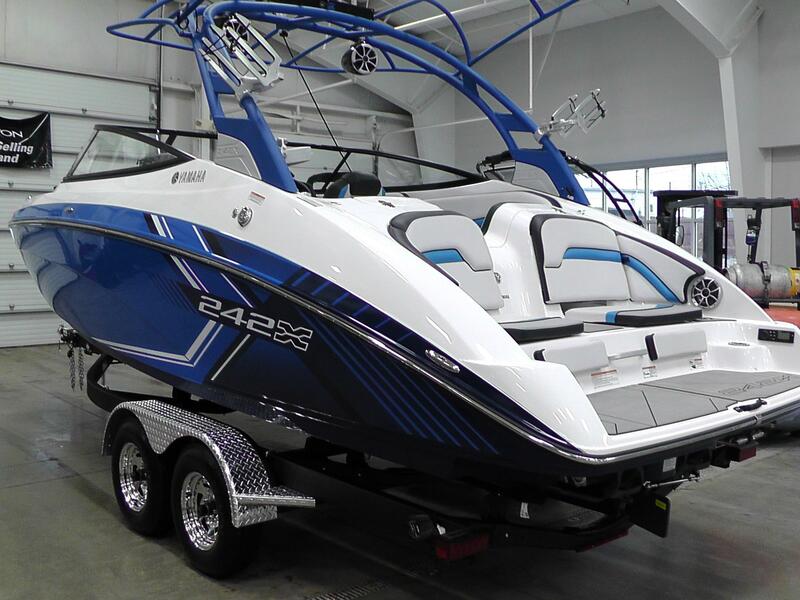 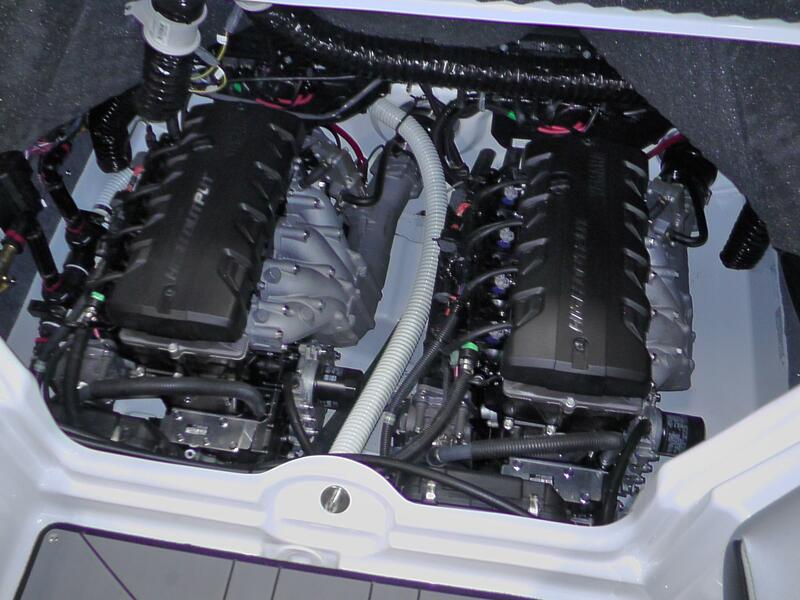 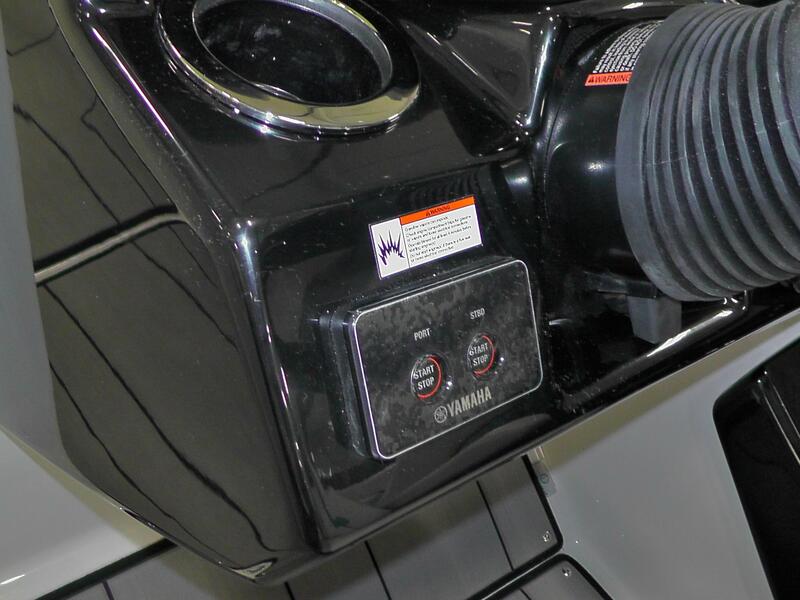 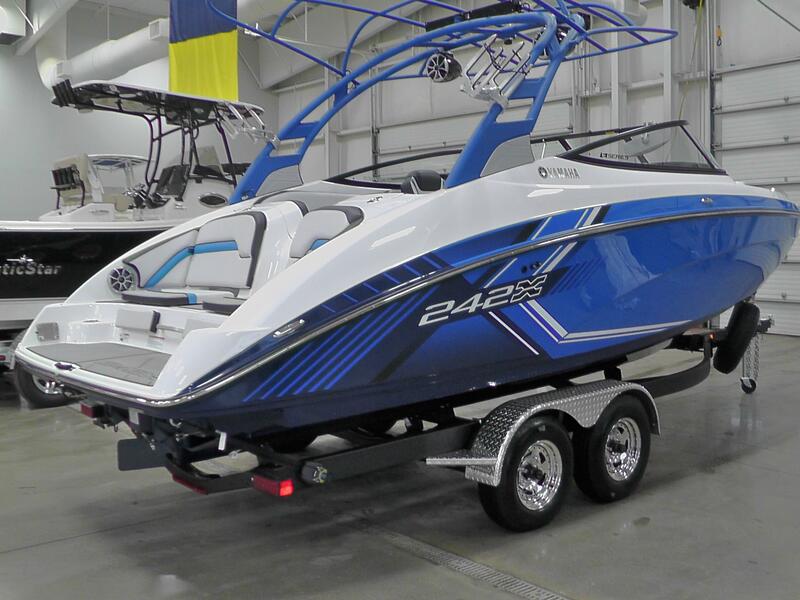 2019 Yamaha 242X E Series powered by Twin 1.8L Yamaha High Output Marine Engines. 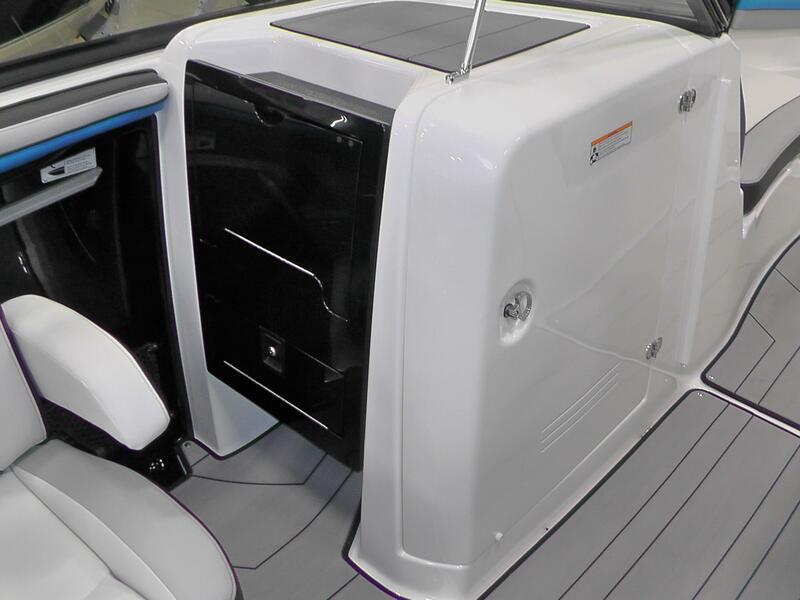 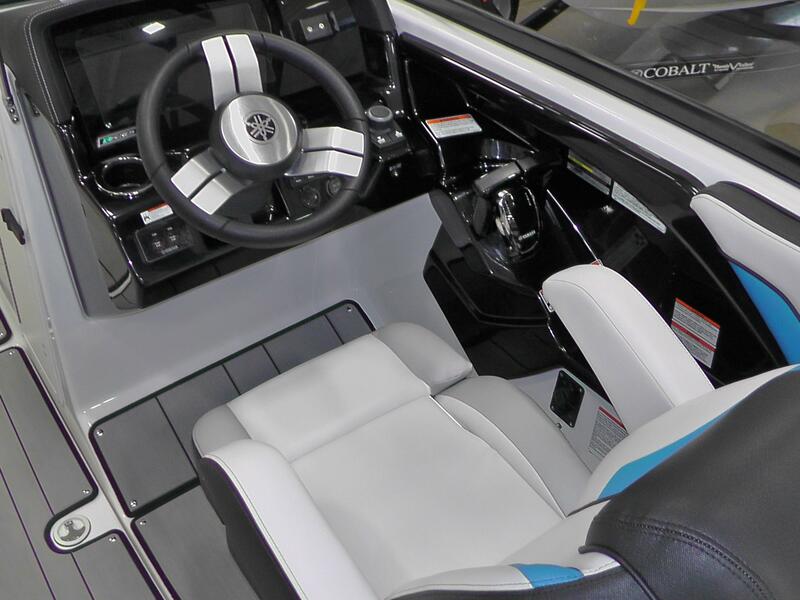 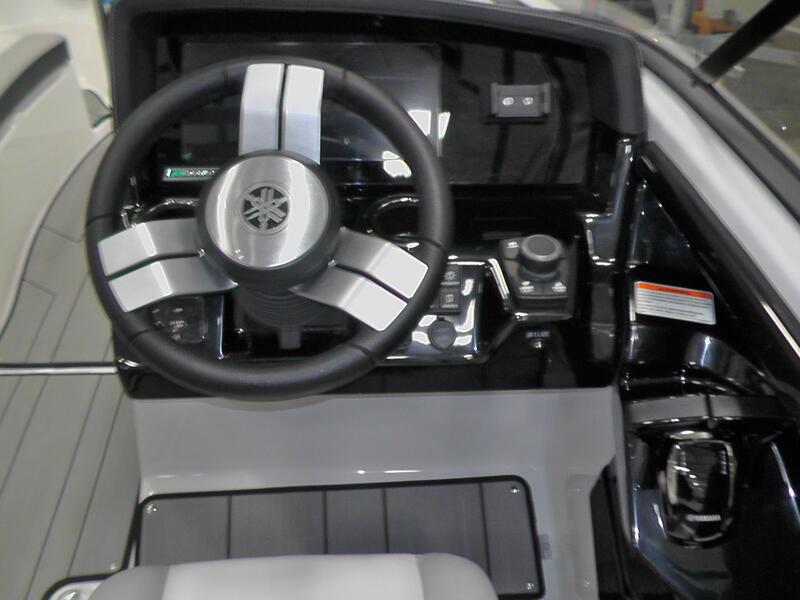 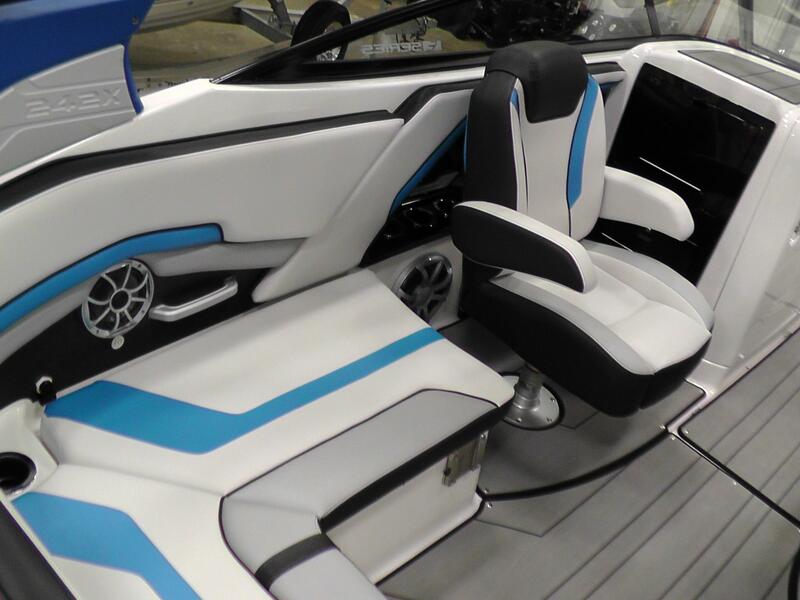 This is Yamaha's high performance wake and surf boat boasting cutting-edge electronics, innovative technologies and advanced wake control functions. 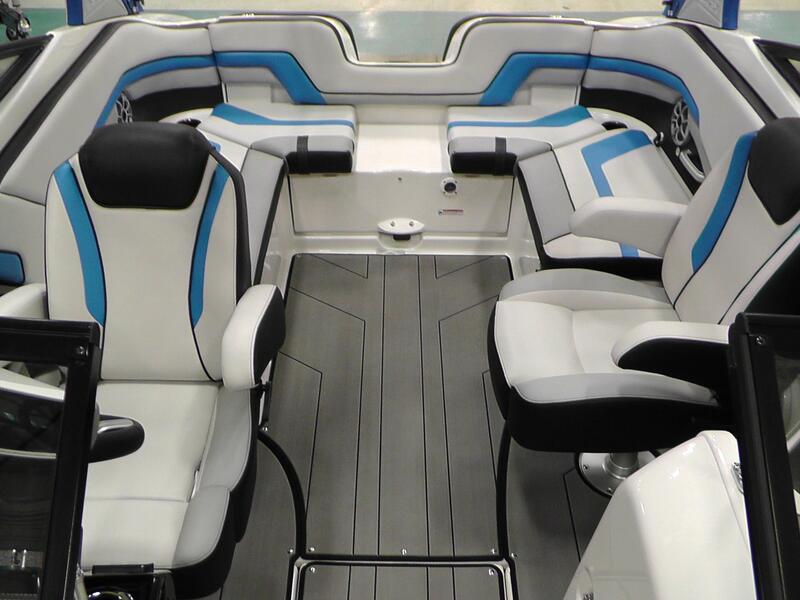 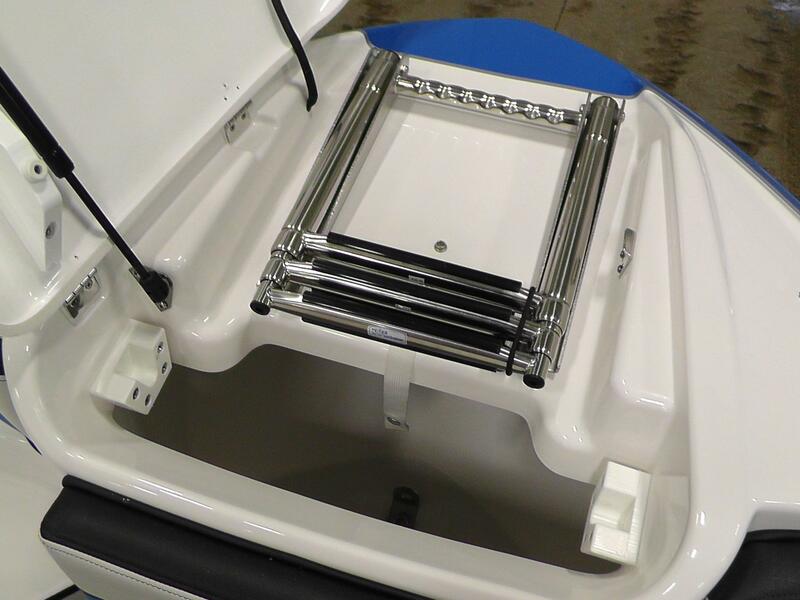 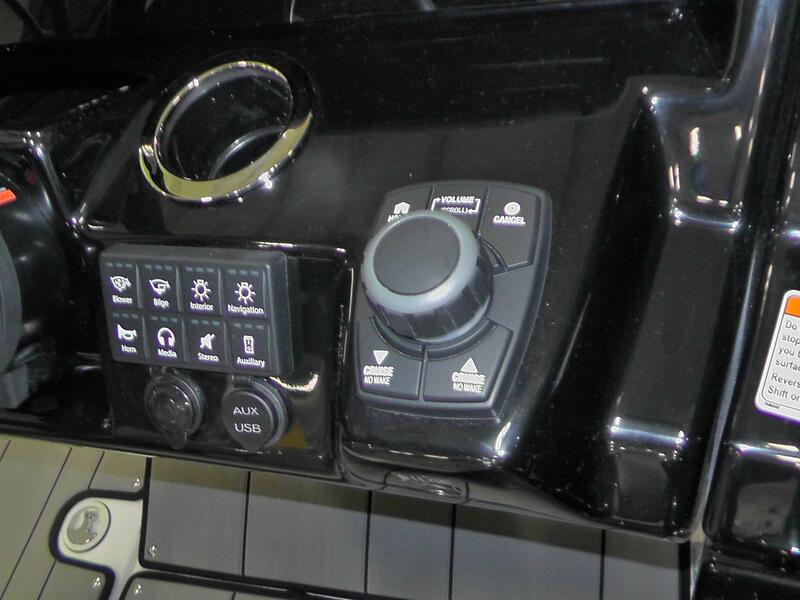 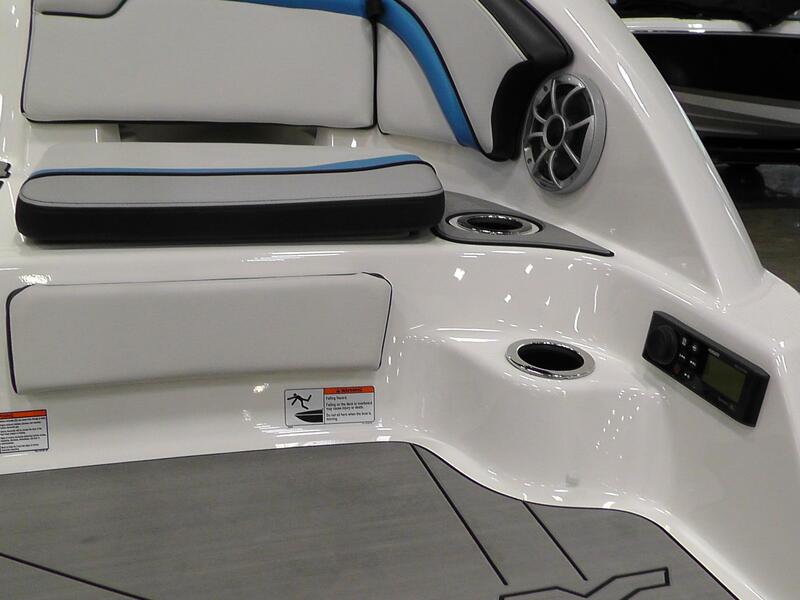 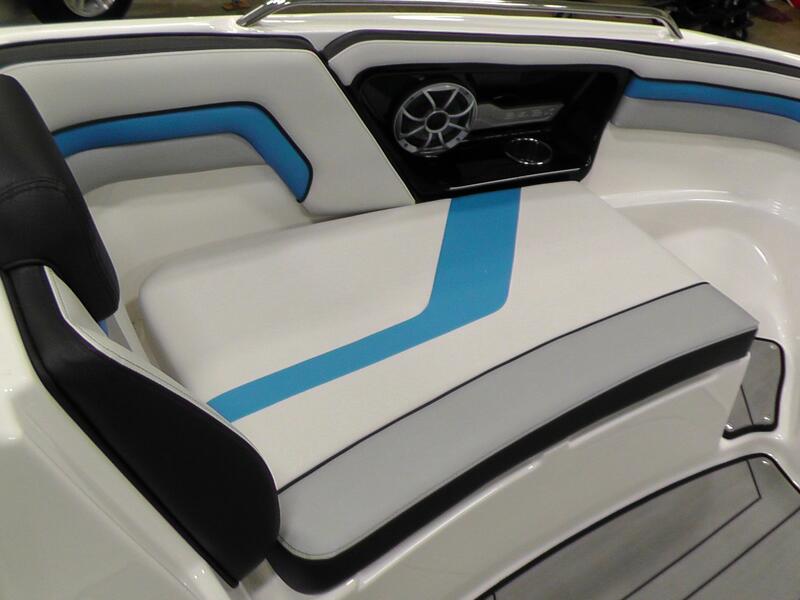 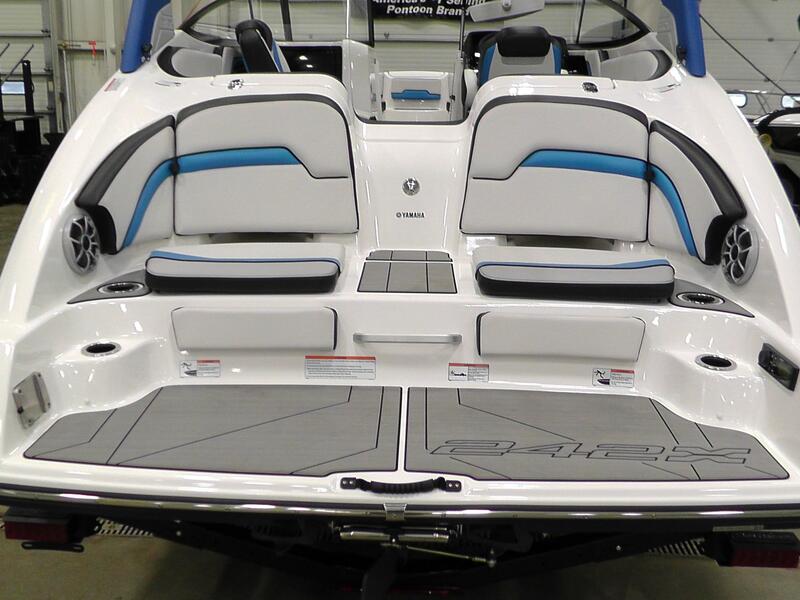 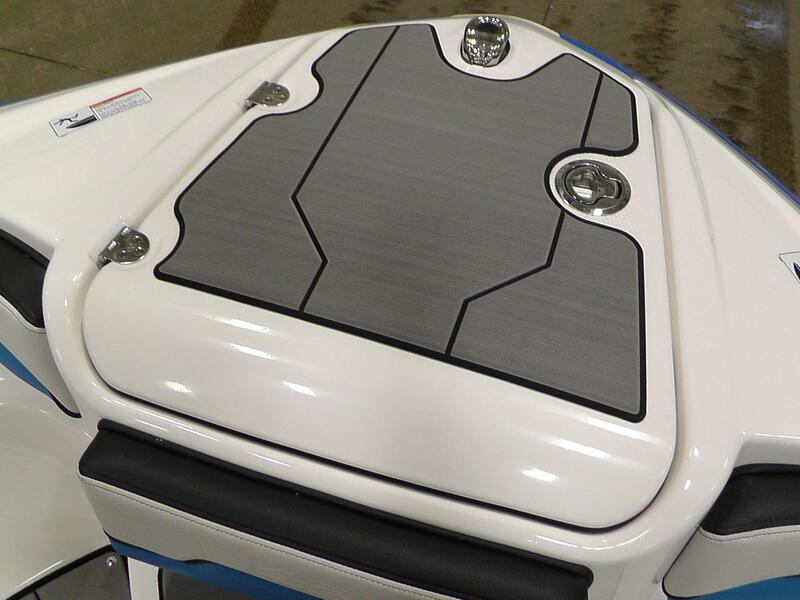 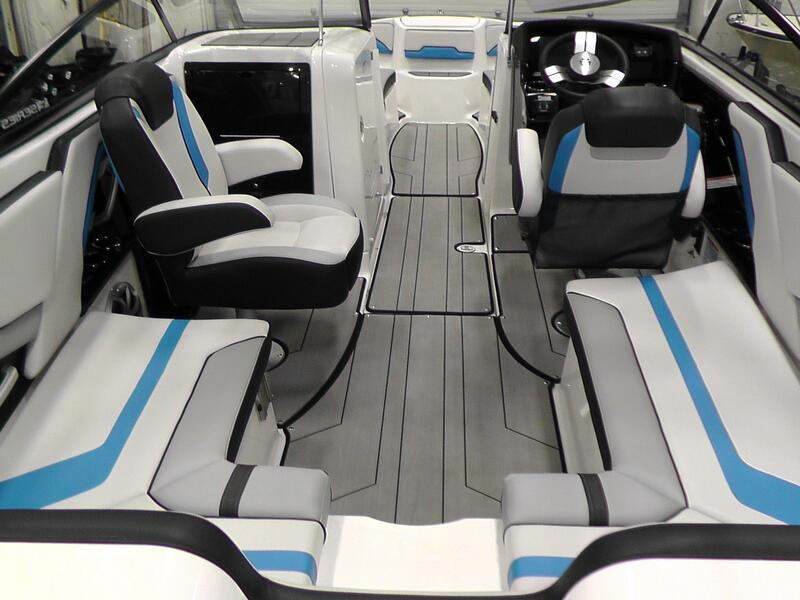 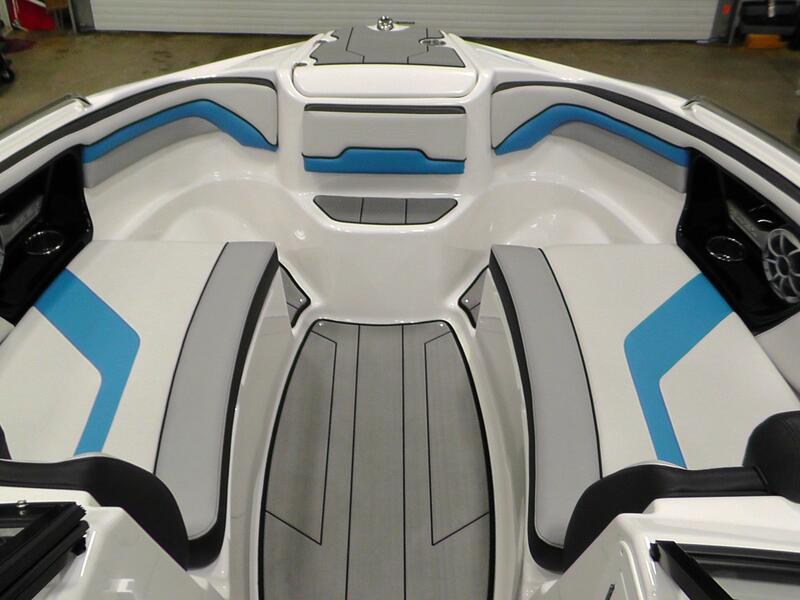 Standard features include Yamaha?s triple ballast system, award-winning Connext? 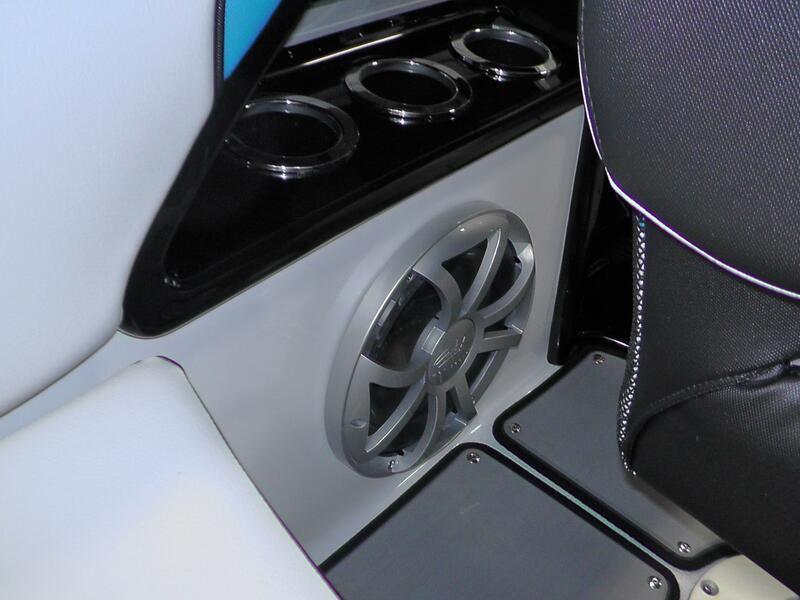 interface featuring new Drive Control and a powerful 1,000-watt stereo with sound bar, subwoofer and 18 premium speakers. 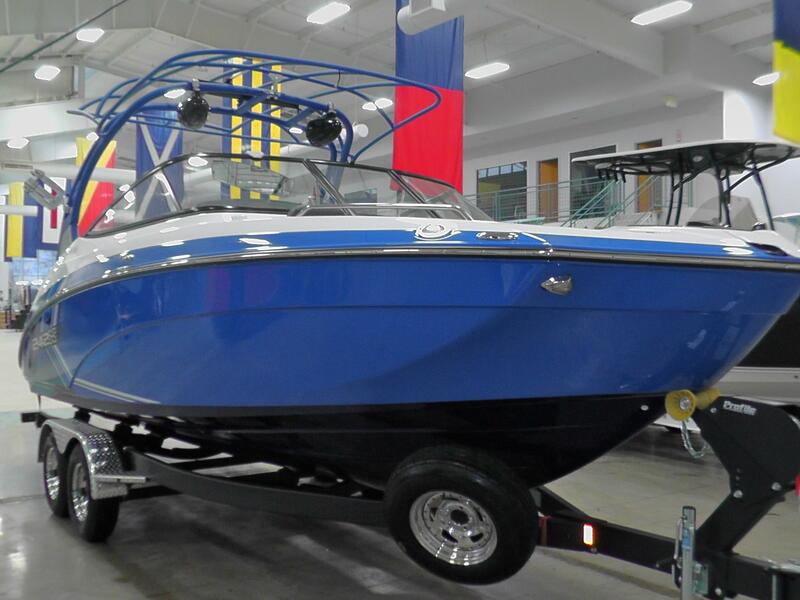 She rides on a tandem axle Shoreland'r trailer with brakes, swing tongue, LED lights, bolt on transom tie downs, chrome wheels with matching spare. 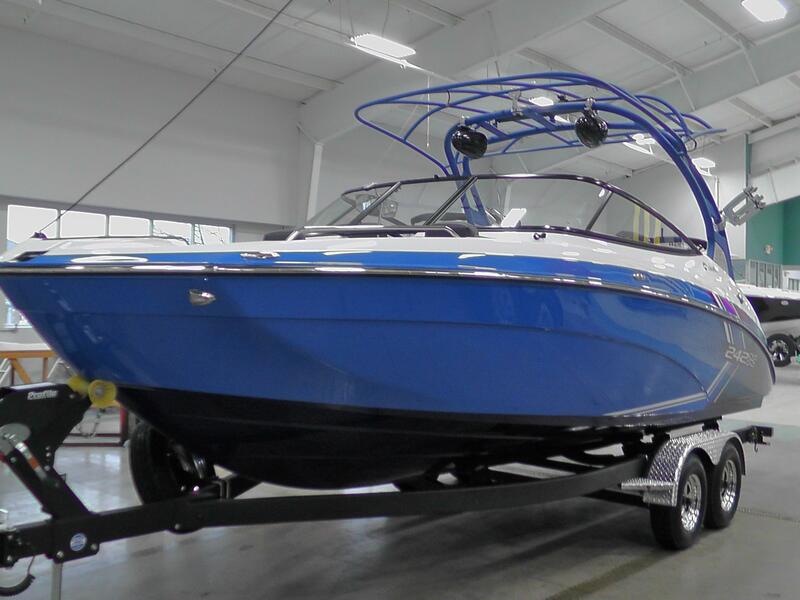 Sales Price does not include Freight and Dealer Prep.